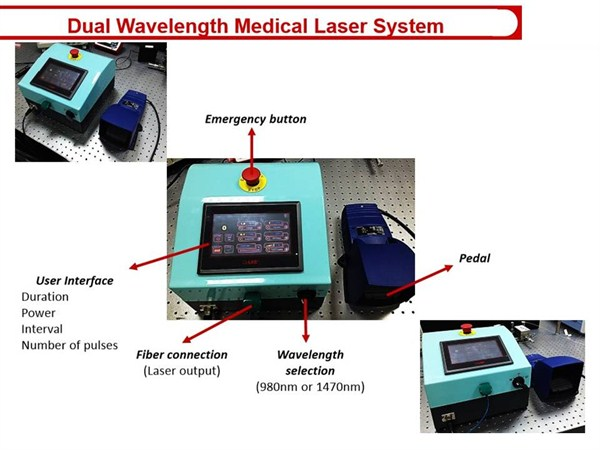 Our lasers, suitable for treatment of varicose veins and other general surgery applications, operate at wavelengths of 980 nm, 1470 nm, and both 980 nm and 1470 nm. They have a compact design, user-friendly software, touch screen, buzzer, and high quality footswitch. Single and dual wavelength lasers of other wavelengths can also be custom manufactured upon request.